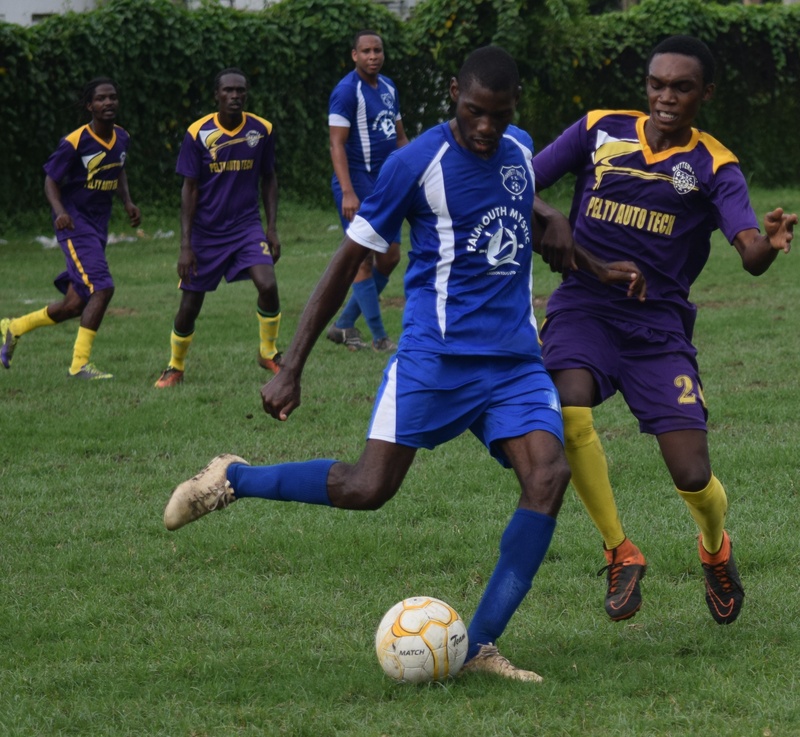 Gutters and Anchovy both took over leadership of their respective zones after placing their first mark in the victory column of the St. James FA Guardian Group Division Two Football League. In a round which yielded nine goals from just two games, Gutters blanked Barnett Oval 3-0, while Anchovy stormed Young Strikers 6-0. Michael Stephenson grabbed a double in the win for Gutters with the other goal coming from Michael Bailey, while Rainnar Barnes and Shaquille West each struck a brace in Anchovy’s big win. Okeam Minto and Reshean Gray, who gave the Anchovy team the early advantage, were the other scorers for the winners who increased their points tally to five from three games. It was comedy hour at the UDC field in the contest between Gutters and Barnett Oval, with both teams fumbling and making a mockery of easy chances created. After many missed chances, Gutters, the better of the two sides, broke the deadlock when Stephenson rifled home from close range after a sitter was missed at the front post. He completed his second as time elapsed, tapping into an unguarded net. The defeat was a third for the shaky-looking Barnett Oval team, which continues to find it difficult to hit the back of the net, striking just once to date.